Food intolerances can be caused by enzyme deficiencies. 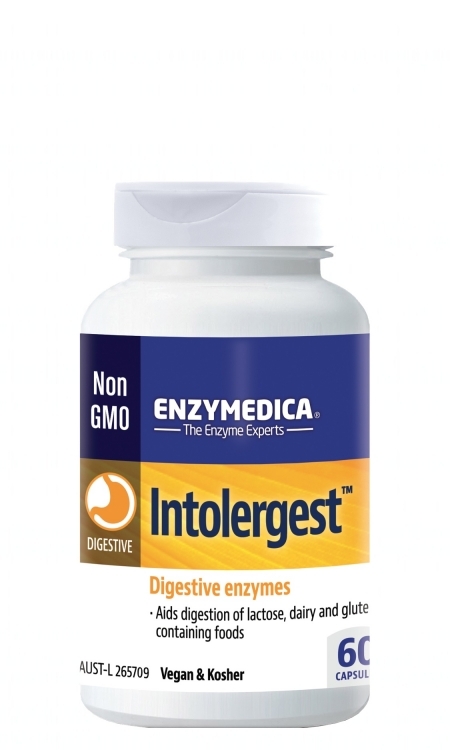 Intolergest™ contains a combination of enzymes that provides specialised digestive support for individuals who experience intolerance to foods containing gluten (found in wheat, rye, barley and oats) and dairy. For many individuals, eating these foods often create digestive discomfort. 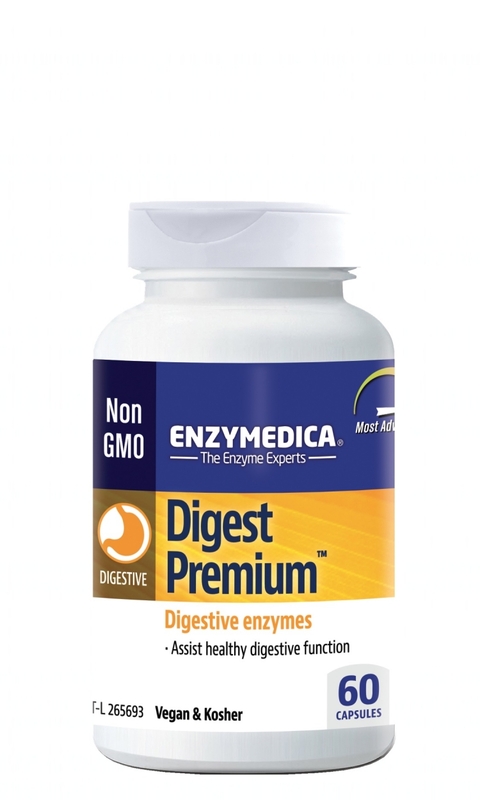 Supplementing the diet with specialised enzymes for gluten, lactose, and casein digestion, may assist in the digestion of these common foods and promote their optimal digestion. Intolergest helps break down sometimes difficult to digest carbohydrates, fats, fibre and protein, with an emphasis on gluten and dairy digestion. Adults take two capsules, with each meal, or as required. 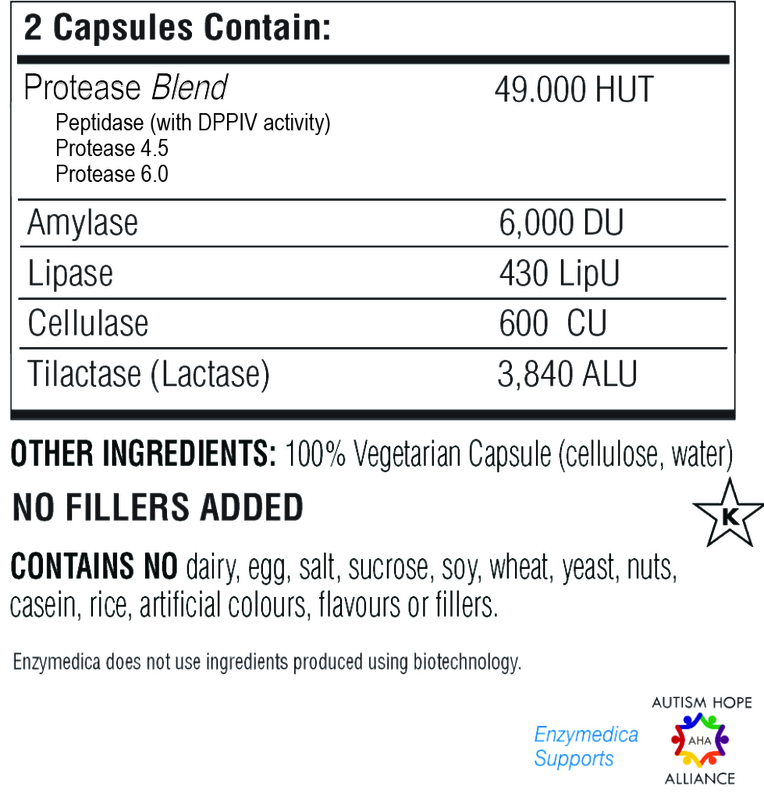 Dipeptidyl peptidase IV (DPP-IV) activity assists in the complete breakdown of allergenic proteins such as gluten (wheat, rye, barley) and casein (milk and dairy products). 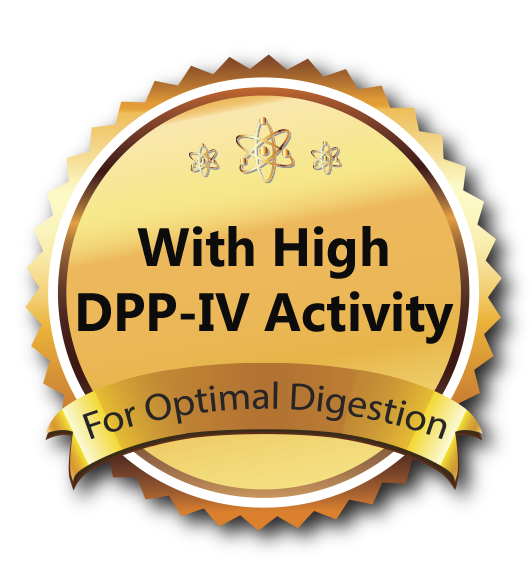 DPP-IV activity may support the digestion of gluten and casein containing food (i.e. wheat, rye, barley and milk and dairy products). DPP IV is normally expressed by the cells in the intestines, and plays an important role in the gastrointestinal tract. DPP IV activity in the small intestine has been found to correlate inversely with the grade of mucosal damage in patients with Coeliac disease and patients with malabsorption syndrome. Does that mean all Enzyme / Protease formulas have DPP-IV activity? No! HUT units do not convey any meaningful information about the specific DPP-IV activity. In fact, it is possible to have a protease/peptidase product with exceptionally high HUT units and no DPP-IV activity whatsoever. In the case of Intolergest, the reason for the lower HUT score (compared to the Digest Premium) is because of the very high levels of DPP-IV activity present per capsule (occupying the limited space per capsule).